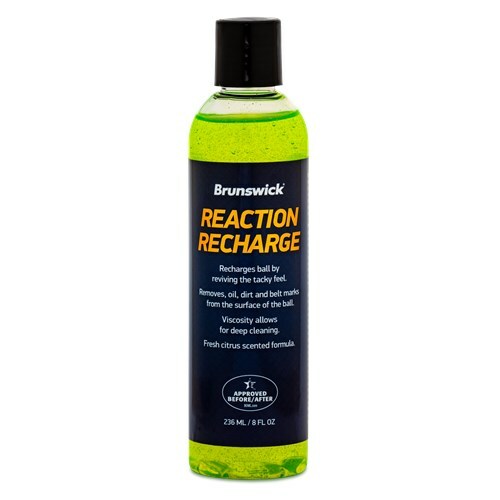 RECHARGE your bowling ball with the Brunswick Reaction Reacharge cleaner! The fresch citrus scented formula cleanses your bowling ball to look, feel, and smell like brand NEW! Due to the time it takes to produce the Brunswick Reaction Recharge 8 oz ball it will ship in immediately. We cannot ship this ball outside the United States.